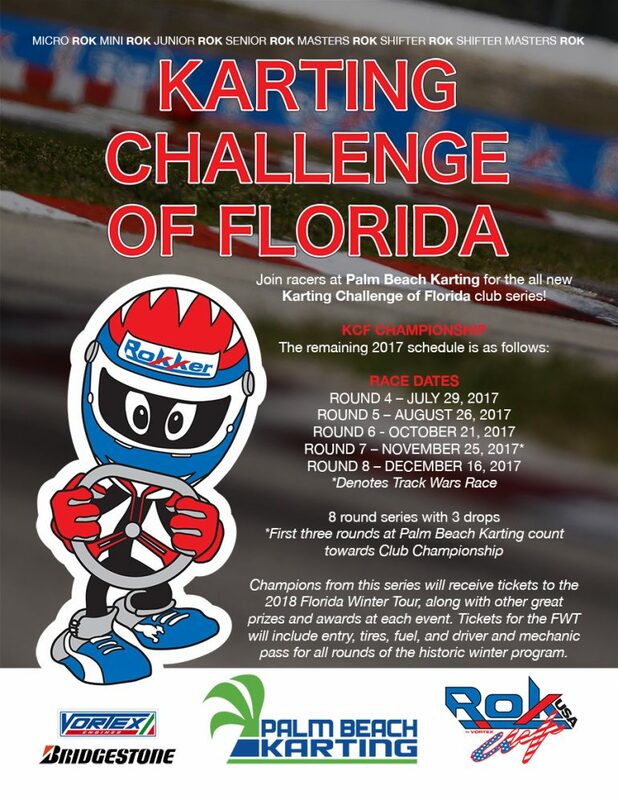 As the landscape of karting continues to change in North America, ROK Cup Promotions is pleased to announce the formation of Karting Challenge of Florida (KCF) Presented by Vortex Engines and Bridgestone Tires. 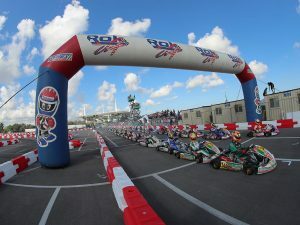 Taking place at the ultra-fast and competitive Palm Beach Karting track, KCF will continue on where ROK Cup South Florida left off, and has big plans for the future to help grow the sport of karting in Florida. As the ROK Cup South Florida moves north and changes locations, teams and competitors will see the great Vortex ROK racing which they have come to know and love. Champions from this series will receive tickets to the 2018 Florida Winter Tour, along with other great prizes and awards at each event. Tickets for the FWT will include entry, tires, fuel, and driver and mechanic pass for all rounds of the historic winter program. Track Wars will be an exciting new event that will utilize some old school karting from back in the day. With a format similar to sprint car racing, two events will be on the calendar for 2017. The first of two events will take place on November 25th at Palm Beach Karting while round two will be held December 3rd at the Orlando Kart Center. 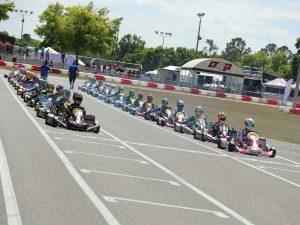 Helping to get people into the sport of karting, Karting Challenge of Florida will work with the South Florida Kart Club for an arrive and drive program. 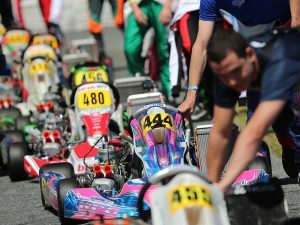 Bringing their program to select races of the new KCF will open up new drivers to a higher level of racing. Please feel free to invite anyone looking to get into karting to these events to experience a high level program at a fraction of the cost. Visit their website for more information at www.soflokc.com. More information on race day format, registration, classes and awards is available HERE. KCF race day schedule is also available to download HERE.